The key feature here is battery life. Not only does Haswell proved a bug boost in battery life / Wh of battery, this Lenovo uses the Power-Bridge feature and offers a range of three external batteries which go up to 72Wh. Power-Bridge means you have a 27Wh battery inside the unit too so hot-swapping is possible. A total of nearly 100Wh will give you around 14 hours of Wi-Fi-On working time. Lenovo talk about up to 18 hours of battery life! It weighs 1.6KG with the smallest battery option which isn’t incredibly light (the Sony Vaio Pro comes in at 1KG with a 13.3” screen) but you’re getting that Thinkpad ruggedness and build. I take a look at some of the details and do the hot-swap trick in the video below. The Lenovo Thinkpad X240 is a sensible choice for mobile workers needing huge battery life. 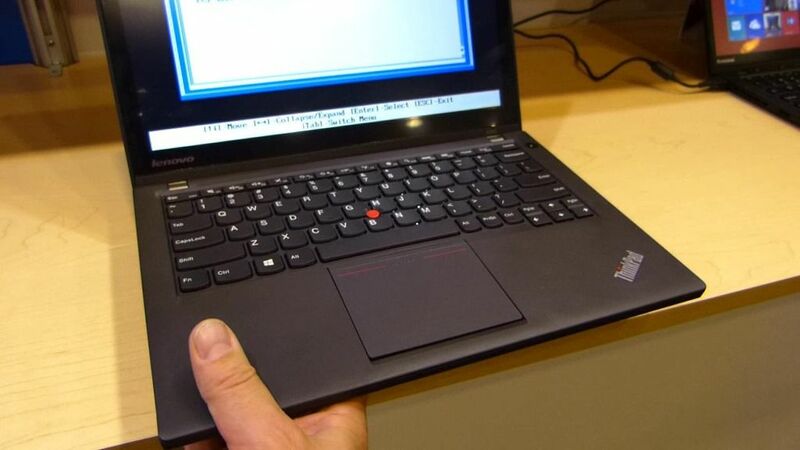 It would be nice to see a little flair but if that’s what you need, the Thinkpad Yoga is there for you! Is it compatible with existing docks? The dock connector seems smaller. Is there a backlit keyboard option? Will their be a slice battery available like the X230? Is there an option to get Haswell M chips instead of U chips? Any replaceable parts (ie. RAM, hard drive, mSATA, WWAN and WiFi)? After market parts are always cheaper. Is there a non-touch matte screen option? How difficult is it to press the clickpad? It seems like it has to be balanced perfectly to prevent clicks while using the trackpad and not too difficult to press while using the trackpoint. I also hear some people saying you have physically lift your finger to register another click or use a different button while using the trackpoint. Hopefully, that was a firmware/software issue. Power Bridge on the X series is nice since previous models didn’t have Ultra Bays. On the T series it’s going backwards. It seems they’re using a new power port so you can’t use old power bricks like before anymore. Also, is the X240 wider or is the keyboard less wide? There’s more room on the sides of the keyboard when compared to the X230. I guess I’ll find out when the dimensions are released. If they want to have a notebook actually deployed in companies, they would make those parts replaceable. One factor many IT departments use to decide which notebooks to deploy is how fast and easy they can be fixed in the field. Having to send the notebook to their repair depot or worse, to the OEM is very undesirable. 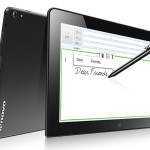 If not then Lenovo isn’t targeting businesses anymore but the consumer market. 1) x240 does NOT have full power CPUs like its predecessors, meaning that an x230 full voltage Ivy Bridge i5 is going to outperform an x240 low voltage Haswell i5. 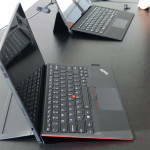 2) x240 only has 1 RAM slot – 8 GB max. Compared to 16 GB max in its predecessors. I don’t know if this is really the case, but if so I would hardly consider the x240 for a portable development machine unlike its predecessors. I think you should probably clarify those points before you glance over CPU and RAM with one sentence. Also not very important for me personally, but others have noted that unlike its predecessors does NOT have an expresscard slot. The Lenovo X240 is a major disappointment. Why on earth did they have to change the keyboard? This was the best feature of this product line. Also, the upgrade options are limited compared to the older models. This is no longer the ultimate business notebook. A major disappointment!